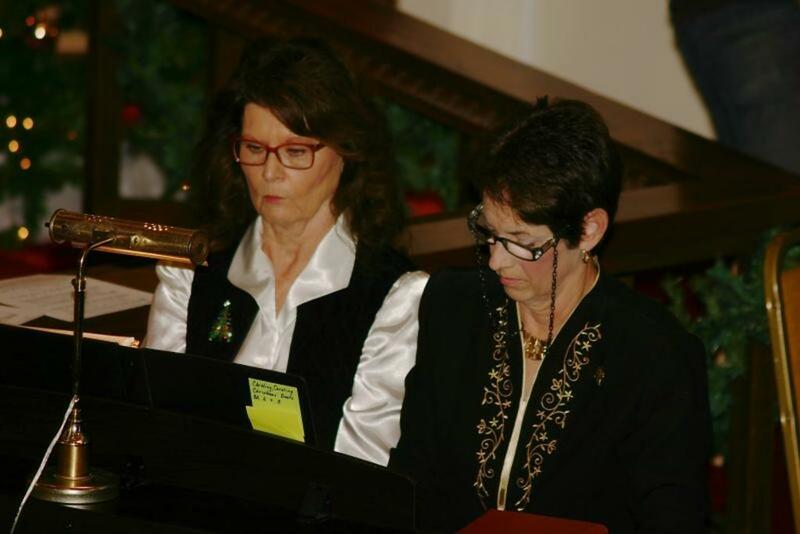 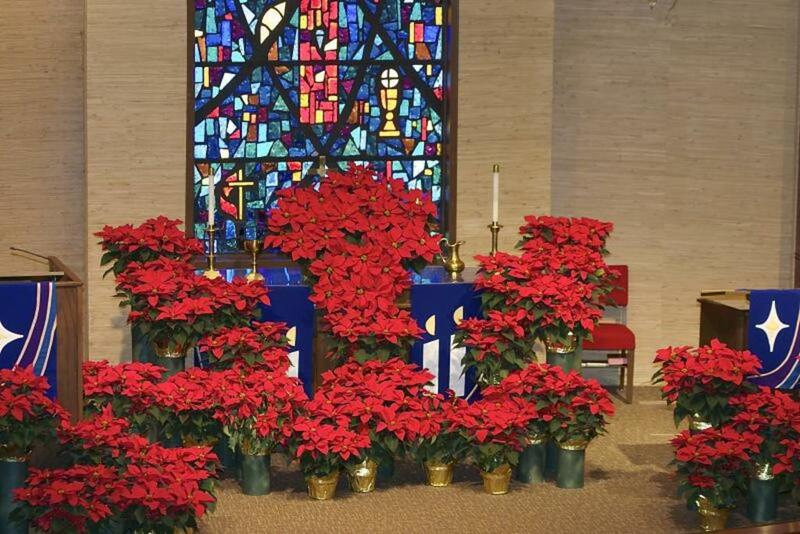 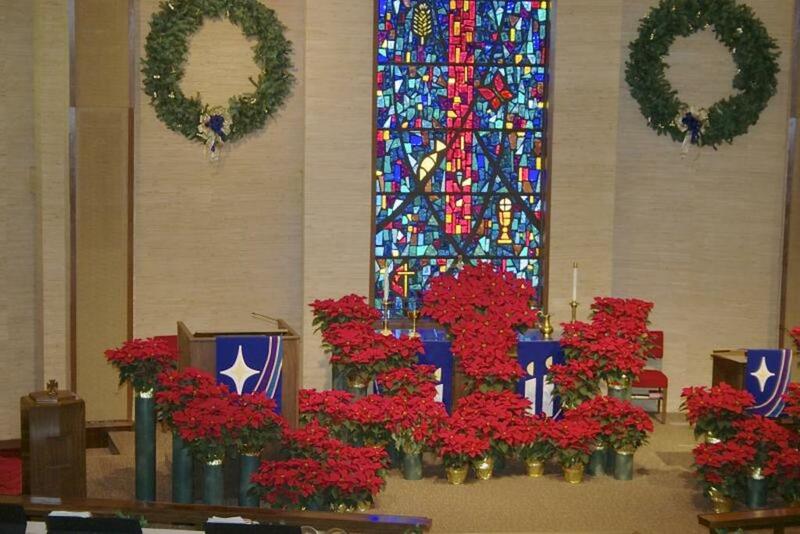 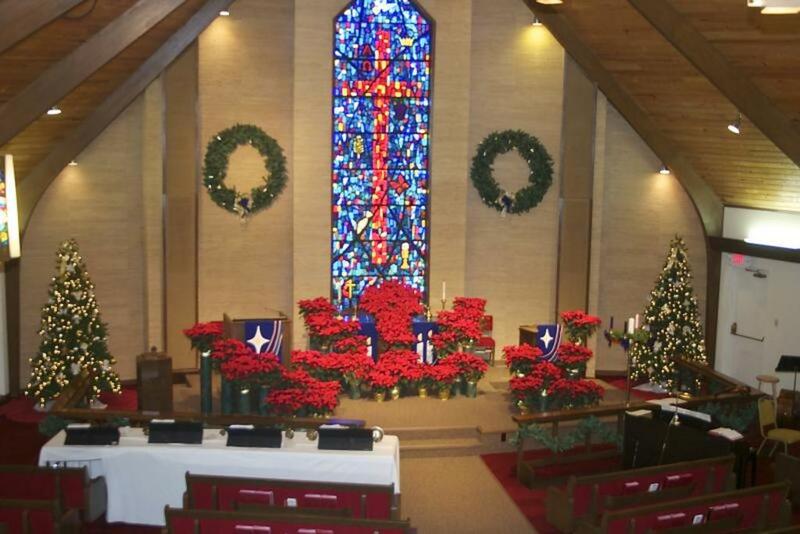 Photos by Dr. Earl Mitchell from the 3rd Sunday of Advent. 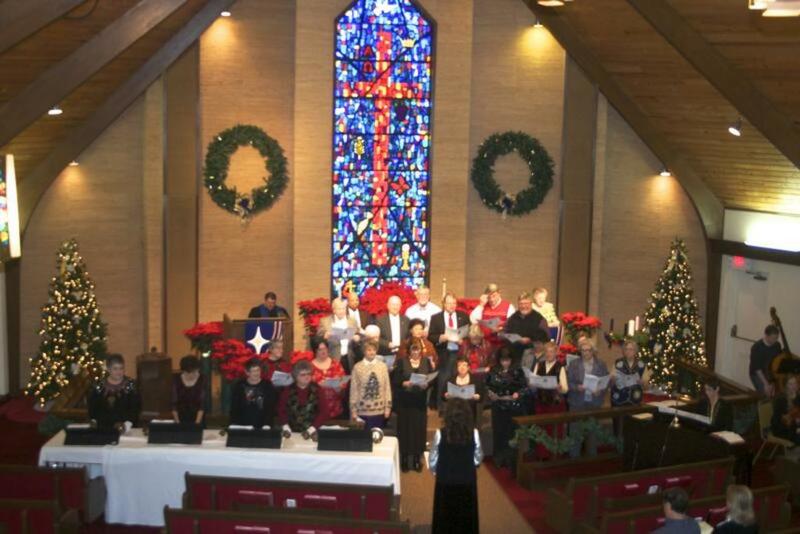 Our choir presented two anthems and joined the bell choir on the prelude. 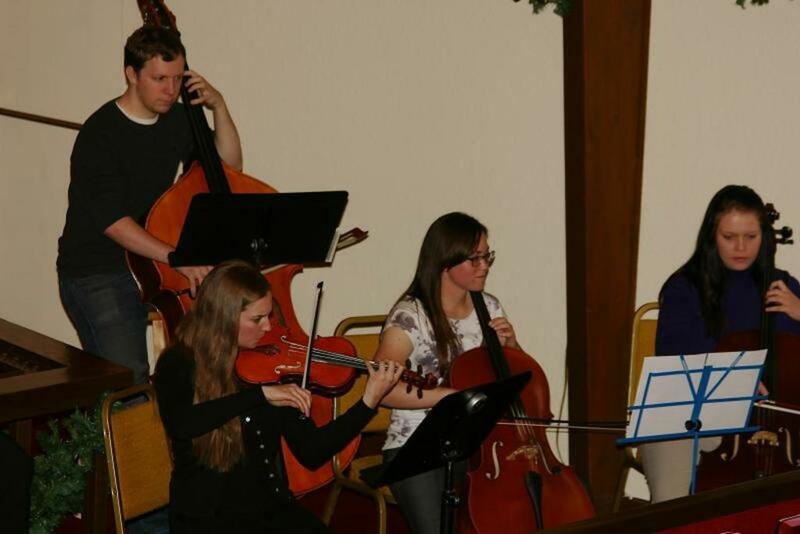 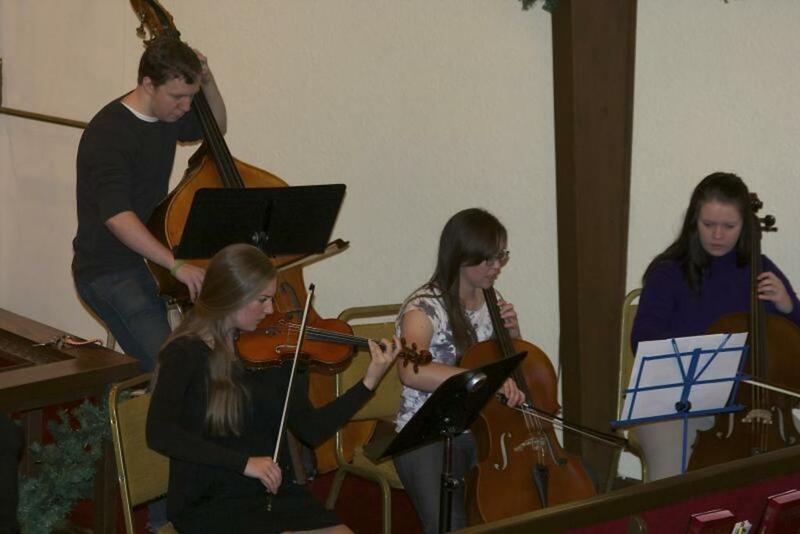 A string ensemble made up of our young adults accompanied our hymn singing. Strings ensemble practices before worship. 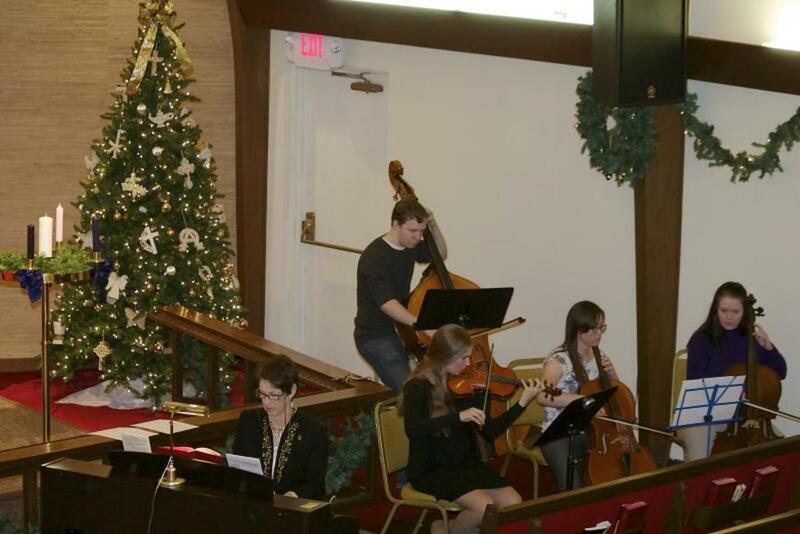 They accompanied our hymns.